Washington, August 1, 2013 — Hughes Hubbard & Reed announced today that William J. Kolasky has joined its Antitrust Practice Group as a partner in the firm’s Washington, DC office. Kolasky has been one of the country’s foremost antitrust lawyers for many years, including serving as Deputy Assistant Attorney General in the Antitrust Division of the U.S. Department of Justice (DOJ). While at the DOJ, he was one of the architects of the International Competition Network, a network of more than 100 competition authorities worldwide designed to promote great international cooperation and convergence among those authorities. Kolasky's practice extends across the full range of antitrust litigation and counseling. He represents clients in antitrust litigation before courts throughout the country. He also represents clients in criminal and civil investigations before both the Antitrust Division and the Federal Trade Commission. He has secured antitrust clearance from the two agencies for more than 100 mergers and acquisitions, and has coordinated merger reviews in multiple jurisdictions around the world. He also counsels clients on the antitrust aspects of a wide variety of business arrangements from joint ventures to distribution agreements. Kolasky’s peers regularly rank him as a leader in his field, and Global Competition Review honored him this year with its Lifetime Achievement Award for his service to the antitrust community. 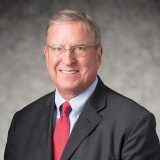 For the majority of his career, Kolasky was a partner at Wilmer Cutler Pickering Hale and Dorr LLP, including having served as Chair of that firm’s Antitrust and Competition Practice Group. He is admitted to the Bar of the District Columbia. Kolasky is a member of the editorial board of the American Bar Association Section of Antitrust Law's Antitrust magazine and a member of the Section's Reserves Board. He has also taught antitrust law as an adjunct professor at American University’s Washington College of Law.